SKU: N/A. Categories: Clothing, Dresses. 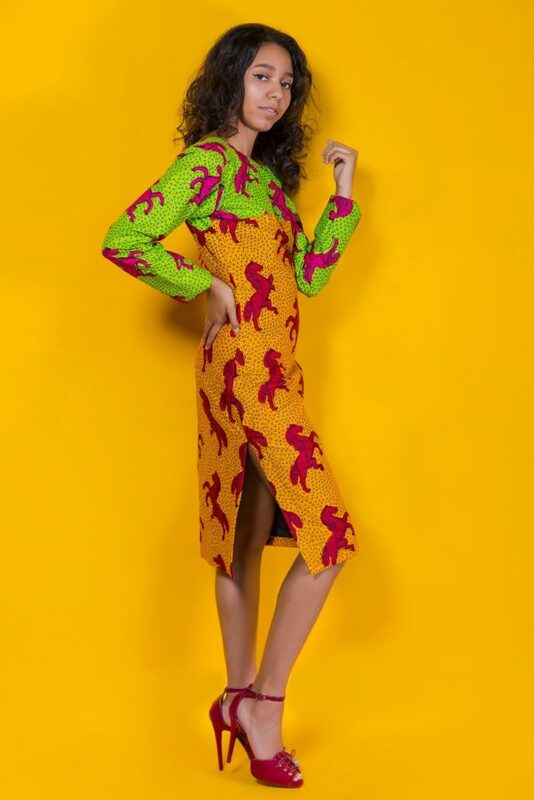 Tags: african print, Afrocentric, ankara, AnkaraStyles, Colorblocking Dress, Cotton Fabric, Dashiki, Ethnic Fashion, Horse Print Dress, Kente, Midi dress, The Donyale Dress, Tribal Print, Wax Print. Yellow and Green Dress, with long sleeves, made from wax print on 100% cotton fabric (Ankara). Dress has a zip to back. Size: Small US Size 4 (Bust 34″, Waist 26.5″, Hips 37″, Length of dress 39″). Style Tips – This dress can be worn with gold jewelry, black pumps and shoulder bag.